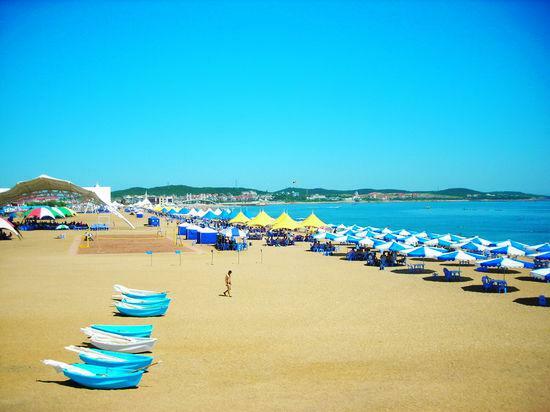 There are four large beaches in Qingdao. The biggest beach, called simply Beach No. 1, is 20 km long and 150 meters wide. No. 1 is the most crowded, but has better facilities than the other beaches. Xuejiadao Island is a little further from Qingdao, and requires a ferry trip. The sea water at Xuejidao is very clean and the sand fine. Best of all, it’s less crowded than the city beaches. It is beautiful and charming when you walking alongside the beach. When you see there is a line between sea and the sky,while sometime the line just fade away, it is amazing. Internationally, Qingdao is perhaps best known for its Tsingtao Brewery, founded by a German-British joint venture in 1903 that produces Tsingtao beer, the best-known Chinese export beer. It is also home to Haier, a large white goods manufacturer, and Hisense, a major electronics company.